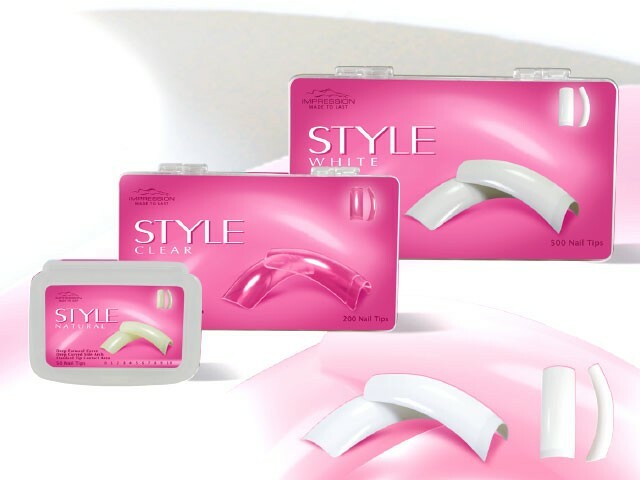 CLASSIC Nail Tips are manufactured from finest ABS plastic, offering flexibility with superior structural points making it look and feel natural. Features such as its natural forward curve, moderately curved side arch and i ts full well design make it the most universal tip catering to the widest range of client nail shapes. Tips come in a clear tip box with eleven separate compartments, including one for glue storage. EXPRESS NAIL FORMS are a breakthrough in nail technology, taking your salon leaps ahead in the nail enhancement industry and reducing working time by up to 75%. 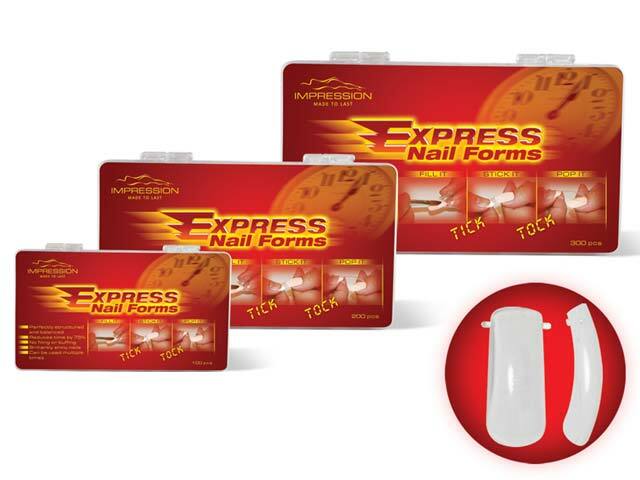 EXPRESS NAIL FORMS also known as TICK TOCK are designed to give you the freedom you need to make perfectly structured, balanced and brilliantly shiny nails. 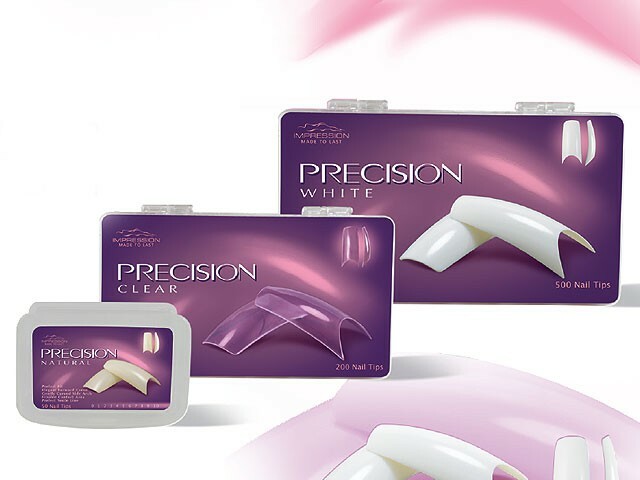 PRECISION Designer Tips provide a unique, stylish and stunning smile area, while creating the clean and crisp beauty of French nails. Designed with reinforced sidewalls and a fine contact area, no blending is required with these top quality tips. 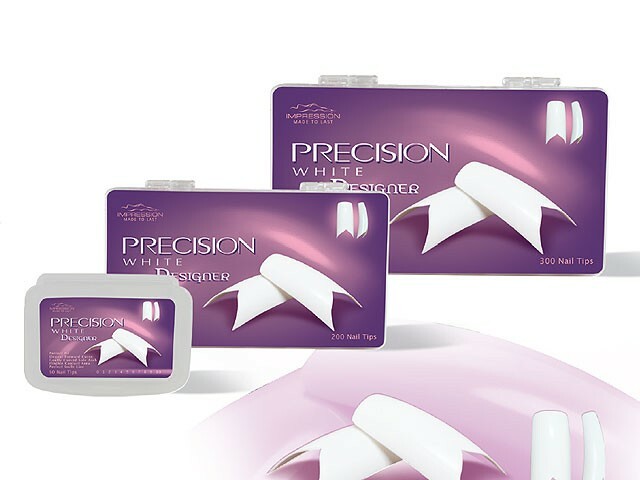 PRECISION Designer will make you feel and look unique. Tips come in a clear tip box with eleven separate compartments, including one for glue storage. 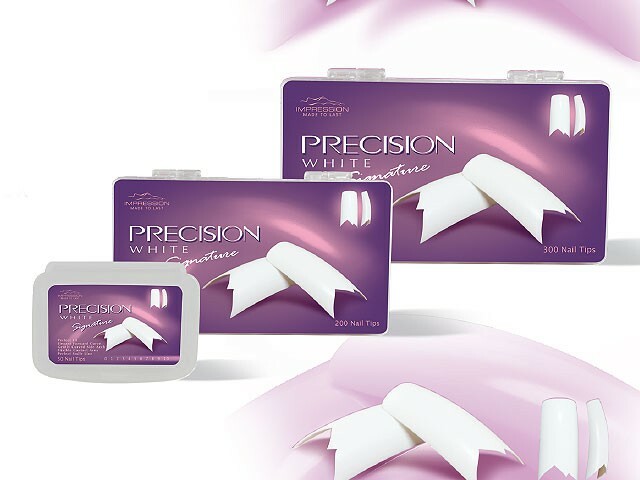 PRECISION Nail Tips provide a perfect deep smile line, while creating the clean and crisp beauty of French nails. Designed with reinforced sidewalls and a fine contact area, no blending is required with these top quality tips. Tips come in a clear tip box with eleven separate compartments, including one for glue storage. STYLE Nail Tips are fast blending tips with stunning curves. Designed with the dynamic upbeat customers in mind it has a deep forward curve, deep curved side arch and micro contact area. Tips come in a clear tip box with eleven separate compartments, including one for glue storage. U-Design PVC forms are designed with wide tabs to fit comfortably and securely on all nail types while ensuring a tight seal that guarantees no seepage during application. 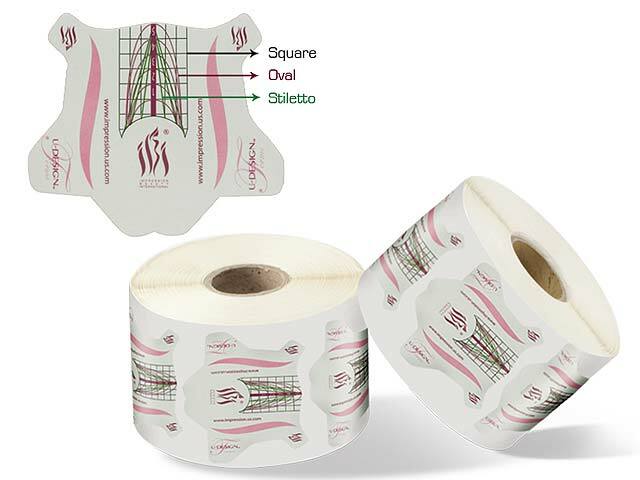 With a revolutionary 3-in-1 grid, that is uniquely color coded for distinction, you have the freedom to sculpt your customers favorite shape be it square, oval or stiletto while maintaining the correct shape and length providing consistency from nail to nail.